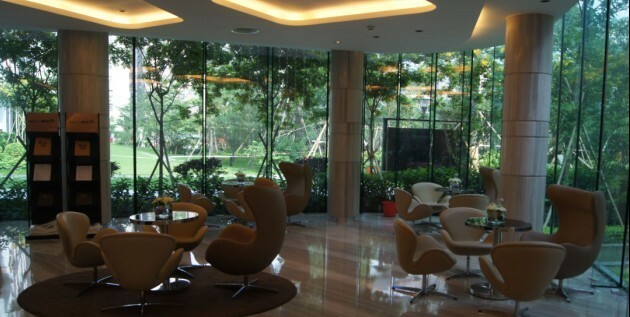 Gemdale Green Garden is located in Futian District of Shenzhen City. The construction started in January 1999 and finished in December 1999. Presale started in May 1999. The project adopted contemporary building designs and the "Green" design concept. Vertical planting and landscape design of elevated floors are revolutionary design concepts that were introduced in this project. Because of the extensive market research, high construction quality and accurate product positioning, the project started, finished, turned profit and finished selling all in the same year, setting a record in residential development in China. It also set the record of achieving 97% sales before the finish of the construction, and the average selling price is 1000 RMB more than its competitors.